Growing up just north of Chicago in Libertyville, Illinois and fishing the local ponds and streams since about the time he could barely walk, Captain Rick Bentley originally began fishing the Lake Michigan waters off Waukegan Harbor for salmon & trout when he was about 12 years old with his uncle (Captain) Ross Shellenberger. And in several years was being actively pursued to run the rods on the deck as a first mate for many different captains in Waukegan. Rick left the fishing industry for a career in financial consulting after graduating college with a degree in finance & economics. He performed investigative stock trading intelligence for many large, publicly-traded companies and investment banks while living in Lincoln Park, Chicago until his mid-30’s. 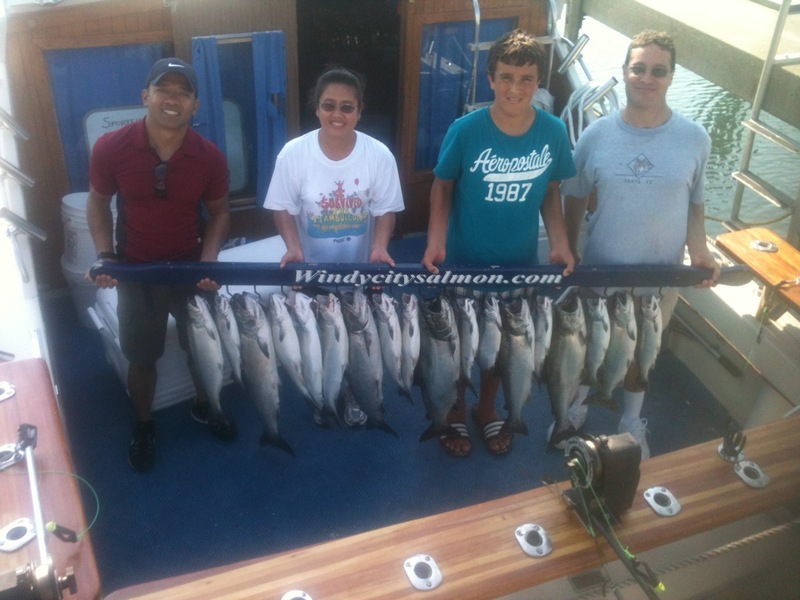 Missing the enjoyment and satisfaction of charter fishing on Lake Michigan, Rick decided to hang up his collared shirts, started Windycitysalmon from scratch in 2007 and returned to Waukegan Harbor as a full-time charter fishing guide. Over the course of his life, Rick has fished in many places from the backcountry of Quetico Provincial Park in Canada, to sailfish in the Gulfstream off south Florida, to monster blue marlin off the U.S. Virgin Islands. 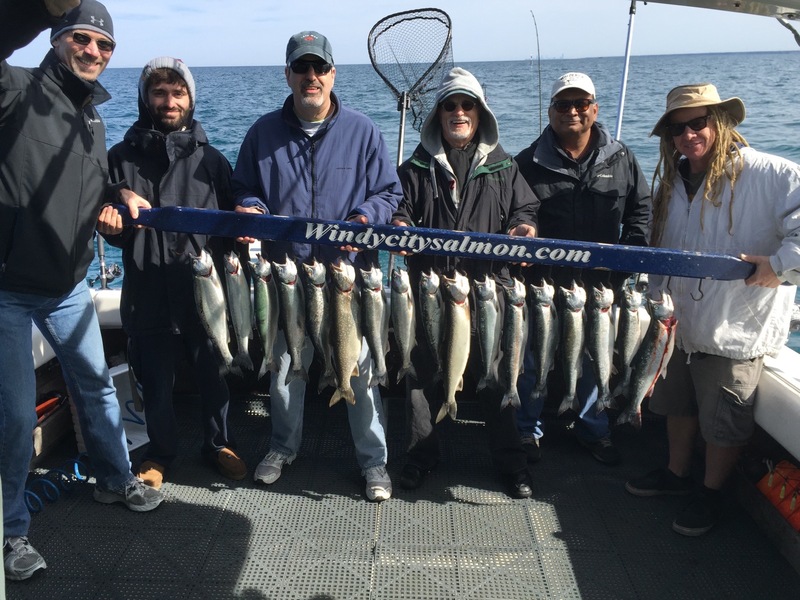 With those fishing locales earning a special respect by Rick, he always held Lake Michigan salmon & trout fishing closest to his heart. So close that he made the career change that he did to return to his roots of the outdoors and the fishing that he loved so much as a teenager to make a new occupation of it. 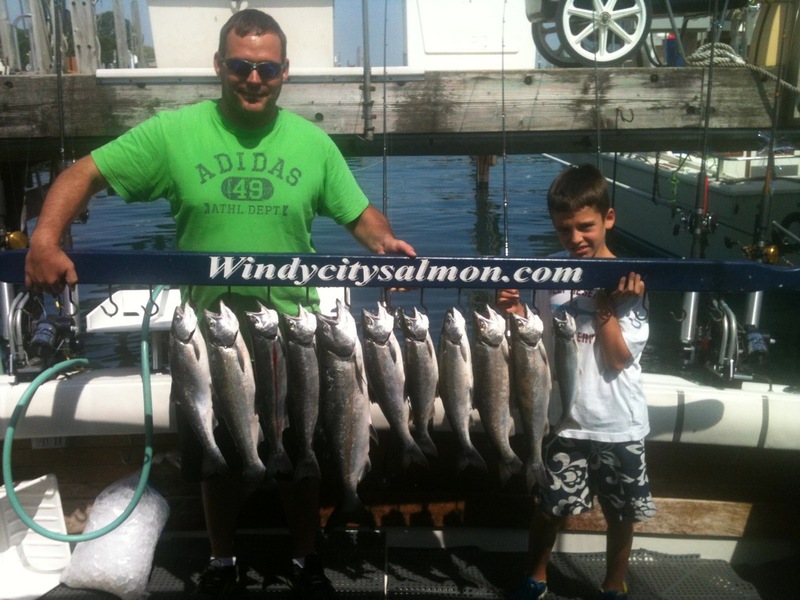 There is little doubt that you will experience his same passion for this kind of fishing which is reflected in the intense efforts and strategies he implements when he takes you fishing for salmon & trout on Lake Michigan i n Chicago’s own backyard. It’s likely that if you’ve even been charter fishing before, you’ve probably never met a captain like Rick. 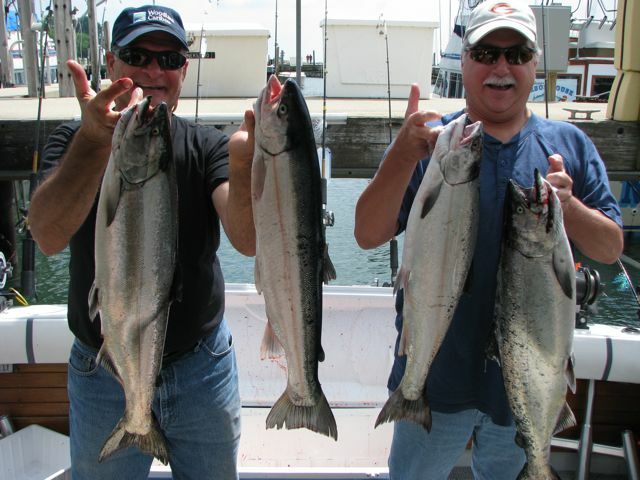 His blend of business, professional, and financial savvy from his past when he advised high-levels of executive management at large, well-known Fortune 500 companies and investment banks, has fused nicely with his enthusiasm for salmon and trout fishing to form a rare combination to beat when it comes to choosing a captain. Still, Captain Rick is also an easy going guy that is happy to satisfy your curiosities with intelligent and insightful knowledge about the changing lake, history of the surrounding shoreline, the behavior of the fish we catch, and the methods of fishing we will employ. Captain Rick is a licensed and fully insured U.S. Coast Guard Captain. 2019 is Captain Rick’s 12th year as a Captain and he fished another seven years as a First Mate. He is a member of the National Association of Charterboat Operators (NACO) and the Maritime Consortium. He has made television appearances for NBC Nightly News with Lester Holt, ABC News Chicago, and Visit Lake County (IL). And has been featured in interviews for the Chicago Tribune, Chicago Sun Times, WBEZ-Chicago Public Radio, and has worked with a documentary team for National Geographic Channel. 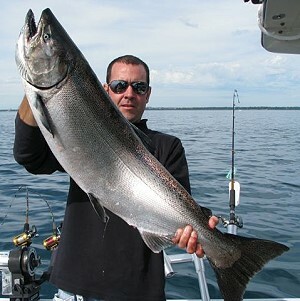 He is also a contributor for and has written articles about salmon & trout fishing for Great Lakes Angler Magazine and Learninghowtofish.com. On June 29, 2018, one of Capt Rick’s customers on the Independence caught the standing IL state record for Lake Whitefish which weighed 8lbs 4ozs. During the offseason, when Capt Rick is not crafting new fishing strategies and tying coho flies which we will use in the spring, you will likely find him spending more time with his wife and young daughter as well as hiking or skiing out west or in Michigan’s U.P., as he carries on his enthusiasm for the outdoors.